Looking for a car repair shop to service your hybrid? Michael and Company in San Jose is your one stop shop for hybrid vehicle repairs and services. With more than a decade of experience servicing hybrid vehicles, you can rest easy knowing that your car is in the best hands possible. Our certified car care technicians can handle all of your hybrid vehicle needs from regular services to major repairs on all makes and models. From Prius to Tesla and everything in between, we have the expertise to keep your hybrid vehicle running at peak performance. Michael and Co. can perform any and all factory recommended hybrid auto services that will help to ensure that your vehicles manufacturer warrantee stays protected. Even better, we can perform these hybrid car services at a significantly lower prices than hybrid dealerships. Our quick diagnostics coupled with our knowledge and years of hand-on experience working with hybrids, allows us to easily pinpoint any issue extremely quickly and accurately which saves you both money and precious time. 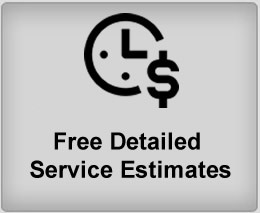 For more information, estimates and any other questions you may have about hour hybrid vehicle services, please don’t hesitate to gives us a call at (408) 286-2988.